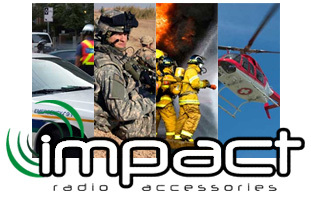 Founded in 1999 as the North American distributor of other accessory brands, IMPACT Radio Accessories has grown to become a world leader in the design and manufacturer of unique communications products for public safety, military, security, retail and hospitality applications. 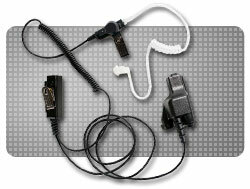 IMPACT Audio Accessories are divided into two distinct series to provide the user with a fully comprehensive and cost effective one-stop radio accessory solution. All IMPACT products are engineered to exacting standards using only top quality components to ensure peak performance in the most demanding environments! The use of heavy duty Kevlar™ reinforced cabling, robust strain reliefs and high quality materials and components ensure impact accessories continue to work when you need them most. Engineered to OEM standards at a fraction of the price you normally pay for high priced brands. The IMPACT Platinum Series offers the professional user the most comprehensive range of heavy duty audio accessories on the market today. Engineered using top grade components for crystal clear audio, heavy duty strain reliefs and Kevlar re-enforced cabling for superior durability, you can rely on the platinum Series for virtually any application. Already in use by thousands of public safety, military, security, and rental radio users worldwide, the IMPACT Platinum Series is your premium accessory choice when nothing but the best will do!